Welcome to my crazy blogging idea. I am introducing Nutrition Bites: “My Worst Client” series. Follow along with the frustrating and REAL struggles people have with their health, sifting through the myths of “what’s healthy?” and using my partner in crime as the basis for these examples. I am using “Mr. R. Ginger” as my example of how frustrating behaviour change can be to me – the nutrition educator who is educated in the field as well as bio-medical sciences and home economics – yet the realistic problems our lives truly gives us to stay healthy and balancing it with family, time and the rest of a holistic life. So it won’t be pretty, there might be some tears and definitely some laughs out of this series. It will expose the true life of a nutri-foodie, and how no one is perfect. I’m learning from Mr. Ginger some of the best things – practical solutions with those we love and meeting in the middle at health and happiness. I hope he has a sense of humour and no access to internet …………. kidding. Join us on the journey of the messiness of mixing two views on health, food and, what else, nutrition! Let’s be clear. I do not “juice”. I might “jam” but I do not really find the appeal to juicing. I hate extra machines cluttering up my kitchen. I hate the extra cleaning of things that aren’t necessary. And I just am lazy – if I want juice, I’d rather have it in the whole food or once in a while buy a carton. So walk in my “worst client” – Mr. R. Ginger – my boyfriend and partner-in-crime. Getting used to another adult in my life has been interesting and a bit challenging. One thing is that we have different types of days: I’m the mom at home with a part time job, he’s doing shift work 6 days a week with hours of overtime. This results in he is about convenience and I am about from scratch. Don’t get me wrong – he loves (and can cook) healthy food but has no time for it. Sound familiar? Yep – everyone seems to be having this complaint – busy lives and no time to put personal health first. One thing we definitely disagree on is juicing. He has been juicing for years (I gathered this info through assumption only). He says it gives him lots of energy and it is a healthier option than caffeine. I say whole foods are better (he doesn’t seem to disagree with that directly) and that he’s losing all that fiber (he juices carrots, ginger and lemon together – seems that is his only recipe) and other healthy components in the “waste”. He doesn’t care. AHHHHHHH! Frustration sets in with this nutrition-trained mother and educator. So I decided to take all that awesome fiber and do something with it. I figure all these people are juicing and wasting all this good stuff – but old pioneer would do something with the “waste”. (Science and history question: Do you know what gelatin is made of at times? I can tell you it’s not always a vegan source. ) 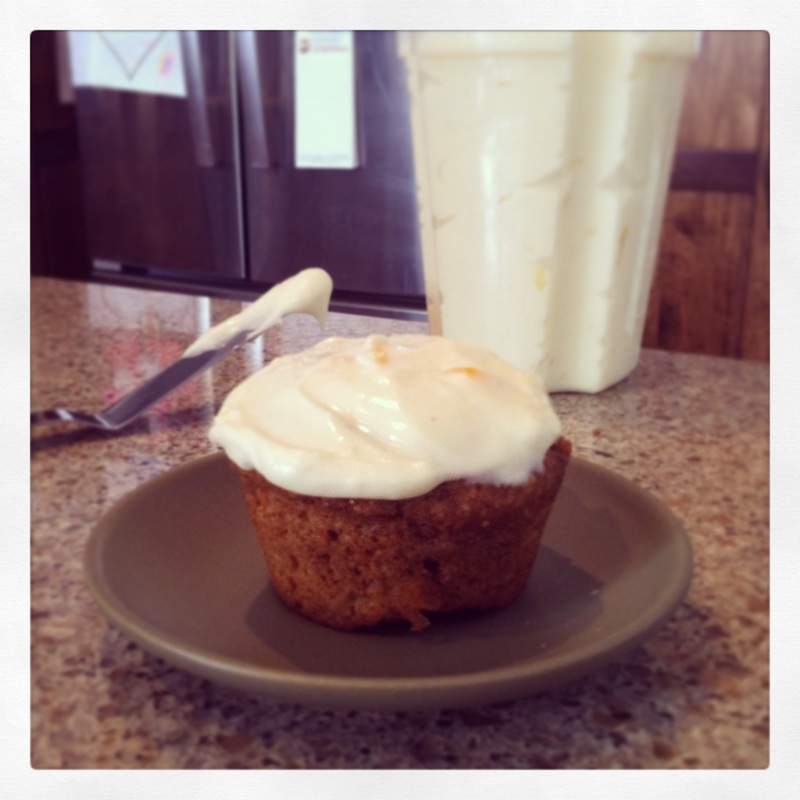 My solution was to make my little one’s favourite carrot muffin recipe and tweak it. Having spent endless years in a kitchen and having food science classes, I just did my weird concoctions of liquid versus dry and trying to make it as healthy and yummy as possible. I couldn’t believe that my first try turned out amazing (that doesn’t usually happen in a test kitchen…. just saying…. so it’s something to be super pumped about!). 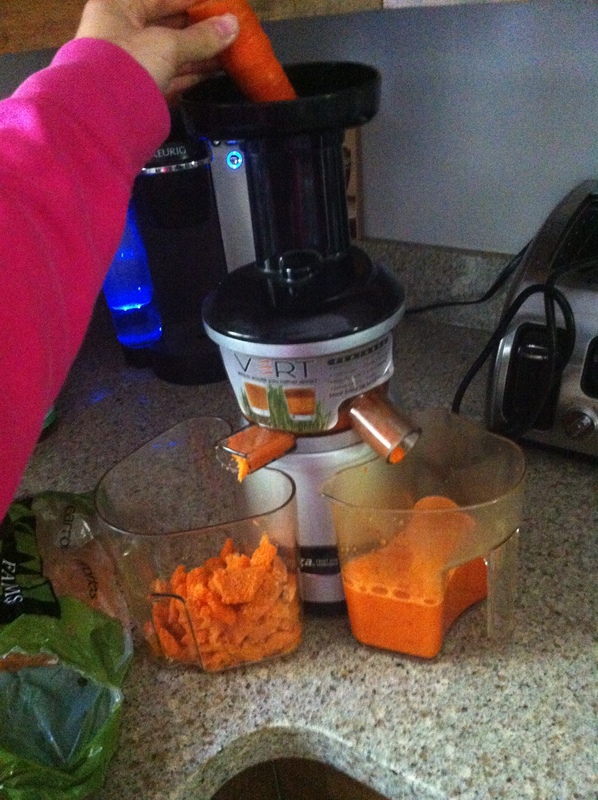 So Mr. R. Ginger juices a 3 lb bag of carrots, 1/4 of a lemon and about a 1.5 inch piece of fresh ginger. (There are two reasons I picked that name!). 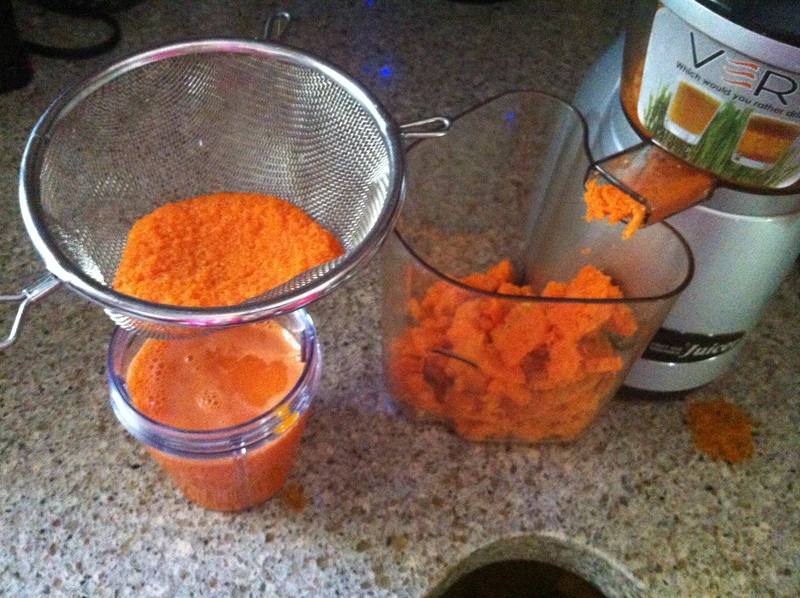 Juicing carrots, ginger and lemon. 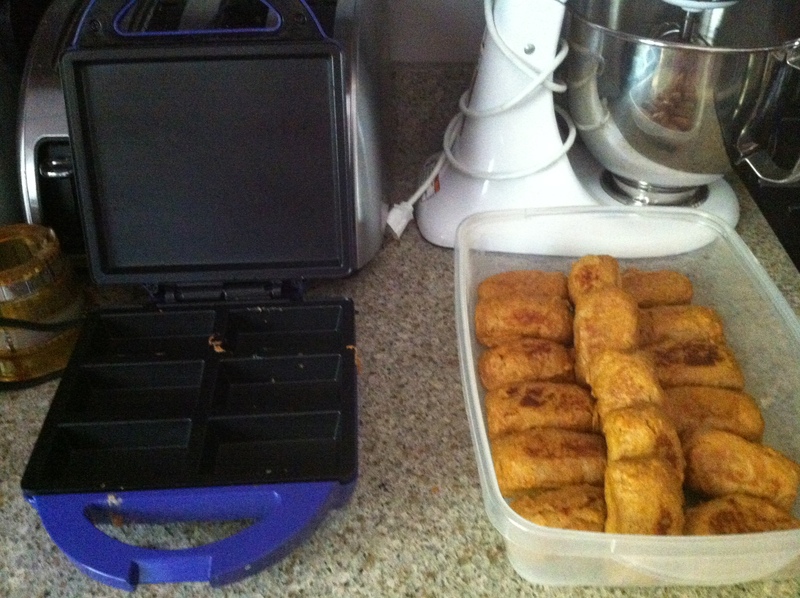 And this is what is left when I’m done juicing for him (remember he works shift work, and I’m a team player! Namaste = The spirit in me honours the spirit in you.). Who would want to throw that out, or even keep putting this in my composter sometimes 3 times a week?! NO WAY! Resourceful and frugal Sandra to the rescue. Save the fiber!!!! The original carrot cake recipe is from one of my favourite cookbooks, The Essential Baking Cookbook by Bay Books. On page 57 is a Carrot Cake recipe. We use it for muffins as well. It is scrumptious and begged for her First Communion cake (instead of store bought!) by my little one who is 8. But what I realized was is that this recipe was not going to stand up to the dry leftovers from the juicing machine. So here comes Professional Home Economist and recipe developer extraordinaire – Sandra Venneri aka Nutrition Bites. Here is MY original recipe. It is notably different from the recipe I used for the cake. So it was a starting point, and then my creativity took over: I made carrot fibre muffins from Mr. Ginger’s juicing “waste”. Perfect for a take-along to a BBQ potluck or family picnic! 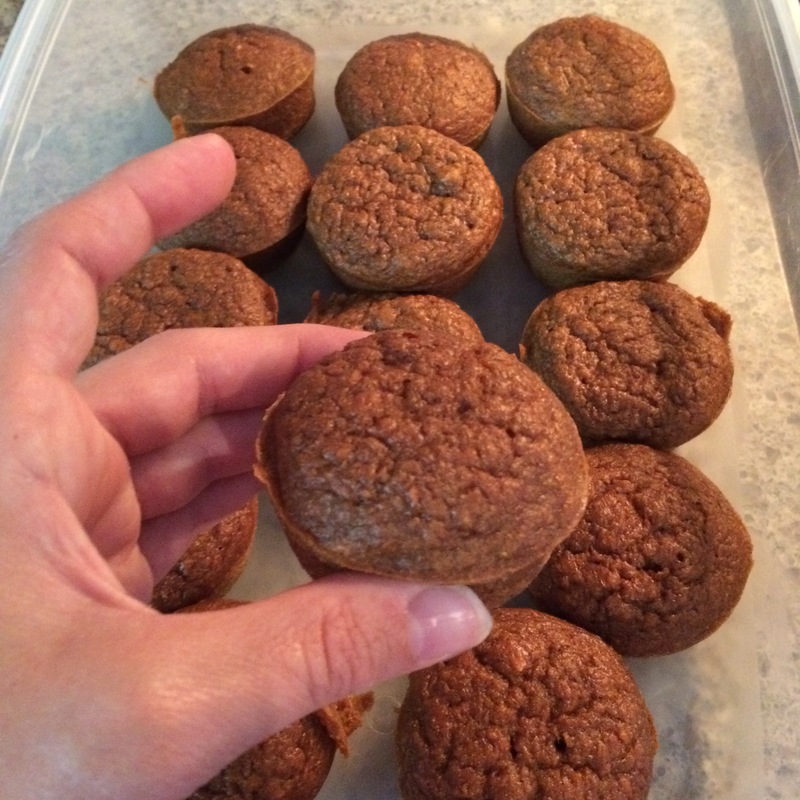 Spray or wipe muffin trays with extra oil (or use muffin liners). Combine all the dry ingredients in one bowl and make a well in the center. Combine all the wet ingredients in a second bowl and blend well. Then add to the dry ingredients and mix together. Add carrot juice “waste”/fibre to the batter. Add nuts and/or seeds if desired. Fill muffin tins 3/4 full and bake for 22-25 minutes. Check first at 20 minutes for done-ness with a toothpick. If it comes out completely clean – they are done! So I have tried variations. And sometimes they do not come out perfect. This is more due to the lack of moisture – so it can get a little tricky (and sticky) when the balance of liquid vs. dry ingredients isn’t perfect due to different juicers and the amount of liquid needing to be replaced in this recipe. Tinker with the amount of apple juice used if this is ever an issue and you think you need more liquid. Molasses use can allow for reduction or elimination of the brown sugar. Using molasses instead of corn syrup will definitely add to the flavour but it can be an acquired taste. My older daughter wasn’t too pleased with this variation, yet my younger one prefers this one because she actually found it sweeter and I didn’t use ANY brown sugar! zest of one lemon (optional). Cream cheese and butter together. Add icing sugar to butter and cream cheese. Blend well. Add vanilla, lemon juice and zest and mix together. Carrot Juicing Muffins made with molasses. Carrot Juicing Muffins made with corn syrup. This time I used a gifted Betty Crocker brownie “oven” instead of turning up the heat and oven during the summer. It works well! There is noted benefits of feeling “energy” by juicing but I would highly suggest this comes from not the vitamins and minerals (do you feel that way if you just took a multi-vitamin?) but from the quick boost of natural sugars in the juice/liquid that are absorbed quicker into our bodies when it’s not within the whole carrot/food. Yet I wonder about the studies of juicing and insulin spikes after consuming these types of juices? 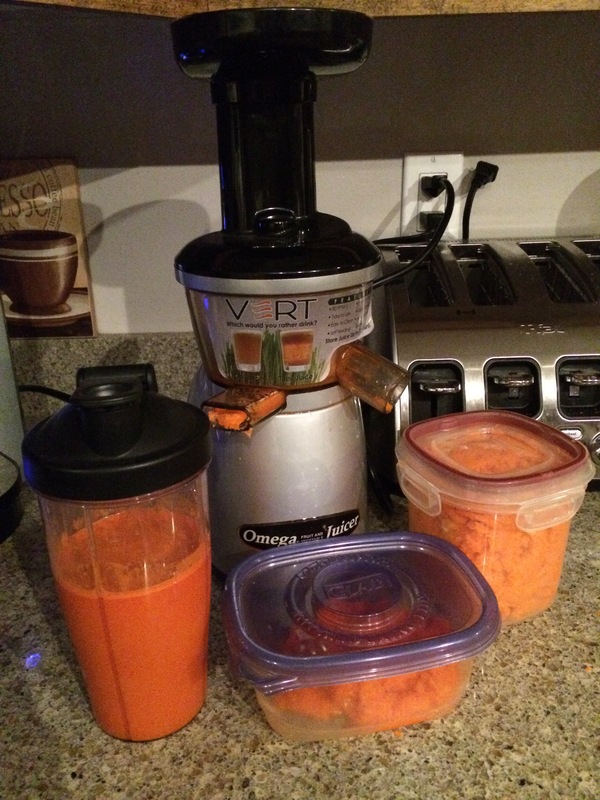 There is a way to use the “waste” or fiber that is lost in juicing to keep it in your diet – my muffin recipe! Professionals that have to coach and help people with behaviour change/modification should be sensitive to know that success is not measured on a piece of paper – it’s measured in happiness based on the client’s goals (as long as they are not doing harm of course!). They are the expert in their lives – so we can show statistics and science-based evidence, but if they do not want to change, or do not see it that way – perhaps the best thing to do is be empathetic and see how they want things to go, and help them on their path (not the path you saw for them or hope for them). Oh, and for one last #nutritionbites comment: Mr. R. Ginger, the client, noted “lots of fibre” the muffins had after devouring a ton of them. Hint, hint.. and kind of a “ha ha, proof is in the pudding/muffin ;)” as well!. So maybe, just maybe, I might have to lead the horse to water (or fibre). Just like those who will eat what is put in front of them (which is most people), I think Mr Ginger should be thankful for my brains, beauty and heart 😉 “A way to a man’s heart (and health) is through his stomach”….. and sometimes, in the hands of his wonderful, nutri-foodie partner in crime! Sign up for email notifications of my next blog post. They include the following as well as my trips and adventures as a nutri-foodie, mom and home economist! Binge eating the same meals for weeks, then cold turkey changes! Thanks for reading! Don’t forget to like, share and comment – I will respond! And let me know how your recipe turns out!